I nearly don’t understand the code I wrote 6 months ago about the vnc connection. 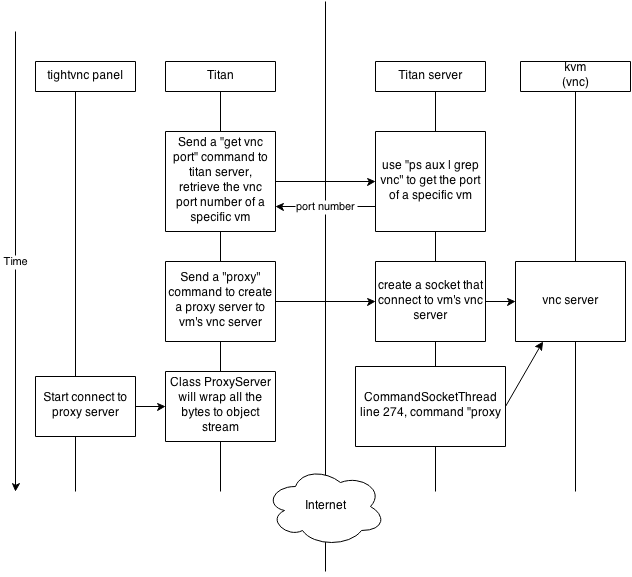 It is a little complex, the basic idea is : Titan server create a proxy server to the kvm’s vnc. Titan server is using java object stream to communicate with client, it wrap all the bytes from the object stream to kvm’s vnc server through the proxy server that created by the “proxy” command.